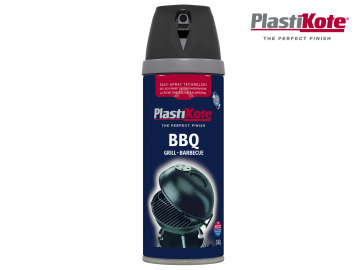 The Plasti-kote Twist & Spray BBQ Paint offers a beautiful satin sheen that is exceptionally durable, and provides resistance against fading due to wind, sun and rain. It preserves the life of metal and is abrasion resistant. The new easy spray technology provides added control to make spray painting easier, faster and cleaner than ever before. The can's large, comfortable finger pad requires 33% less finger pressure than other spray paint cans. 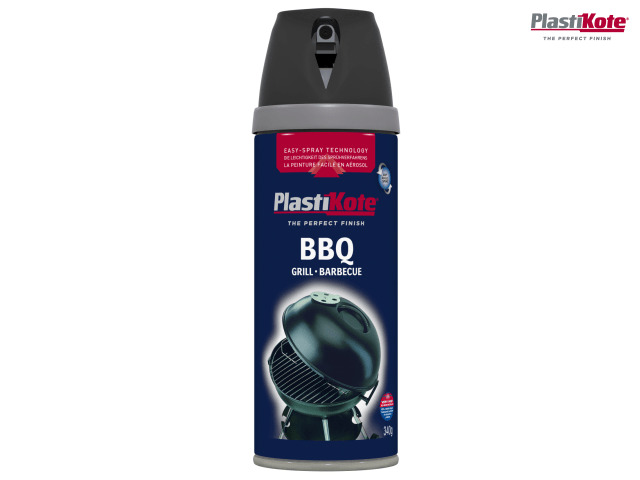 The twist and lock mechanism means there is no separate top to remove or replace after use and the cap and button design shields the finger from paint for a cleaner spray-painting process. Heat resistant to 425° C.